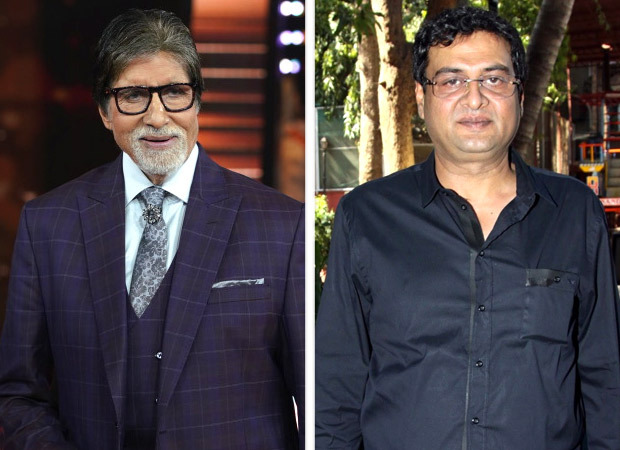 HomeCinemaMasalaAmitabh Bachchan to team up with his God Tussi Great Ho maker Rumi Jaffery again? Amitabh Bachchan, age notwithstanding, is still one of the busiest actors in the tinsel town today and it is just inspiring to see him all motivated and raring to go at all times. He is currently working on Ranbir Kapoor – Alia Bhatt’s Brahmastra and will also be seen in Thugs Of Hindostan with Aamir Khan, Fatima Sana Shaikh and Katrina Kaif. Now, there is a conjecture in the industry that the veteran actor has been approached by his God Tussi Great Ho writer and director Rumi Jaffery for a film but he is yet to sign on the dotted line. Amitabh and Rumi have worked on various projects including Bade Miyan Chhote Miyan. Rumi was the writer for this David Dhawan directorial. It was a commercially viable project. After that they worked together for Hum Kisise Kam Nahin and God Tussi Great Ho was their last film together. We still don’t have the details on Big B’s co-stars or genre of the film. Stay tuned to find out about the same on Bollywood Hungama. Apart from films, Amitabh has been associated with Kaun Banega Crorepati. The makers have revived the show and the new season will start next week onwards. There is a lot of excitement as Amitabh is set to host this iconic show yet again. Amitabh Bachchan was in the news recently after he penned a poem for his doting daughter Shweta Bachchan who has started her fashion label with designer Monisha Jaisingh. He was all praises for her on Twitter and called her his pride.